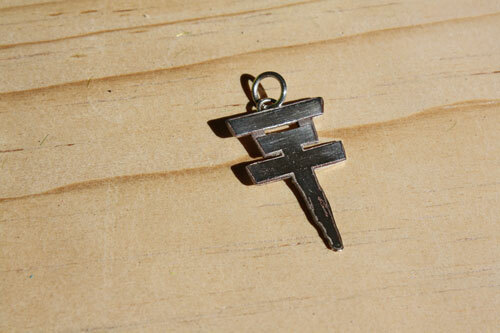 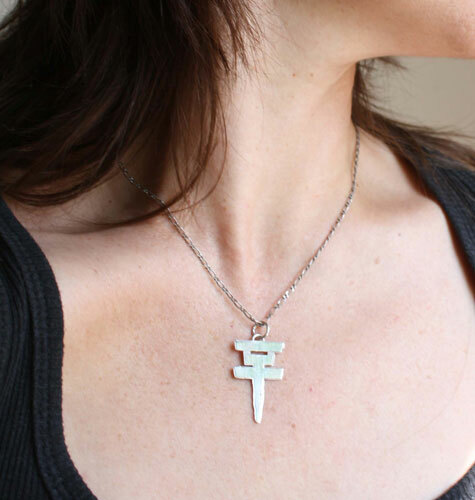 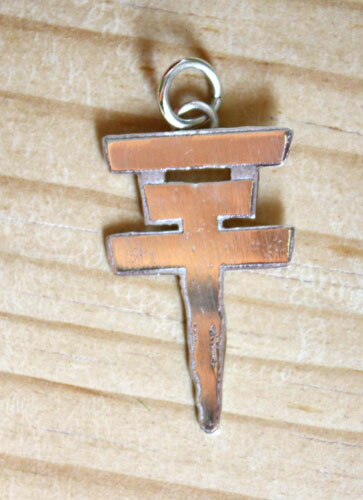 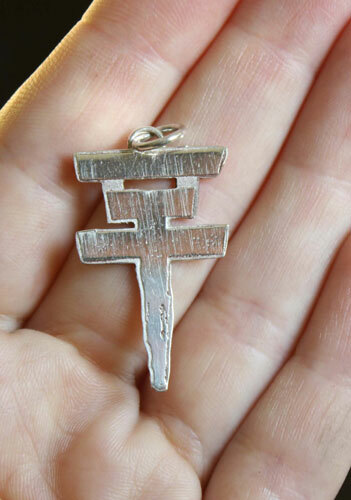 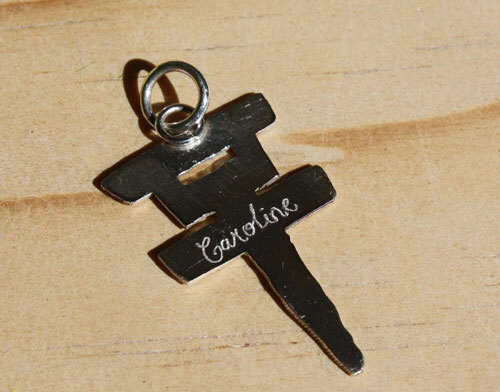 It represents the logo of the German pop rock group Tokio Hotel. 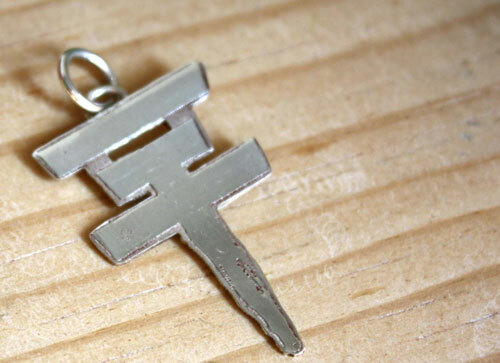 It is 3 x 2 cm. 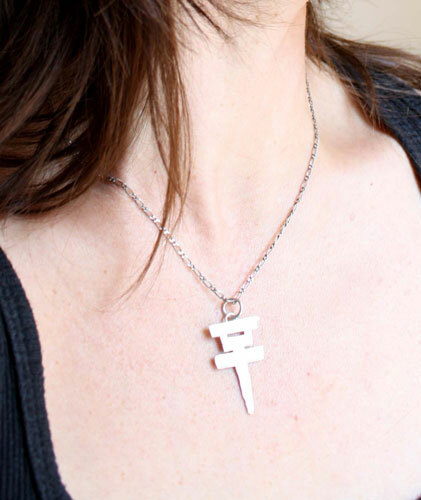 Tag: sterling silver pendant, cross, gothic, pop, rock, romantic, white, handcraft, delicate, unique gift, modern, ethnic, ecology, sky, elegant, discrete.